– T-shirt washed and dried. The problem with a lot of cheap blank t-shirts is that they shrink. – Foam Roller. Just buy cheap ones because they don’t last long anyway. – Baking Paper (wax paper). This is to put between the t-shirt and the iron when heat sealing. 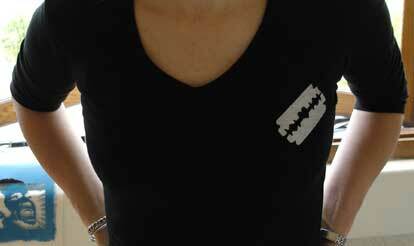 – Cardboard and masking tape for securing the t-shirt. Put your cardboard inside the t-shirt making sure that the t-shirt is mildly stretched out. 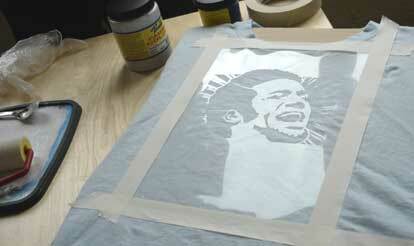 Using the masking tape stick the acetate stencil in to place. See image below. Next mix up the ink color that you want to print. I would recommend that you buy only the small containers of ink because it goes a real long way. 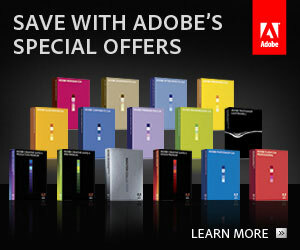 I normally buy the primary colors (blue, red, yellow) and black and white ink. I then mix up my own colors from there. Mix the ink on a plate (or something similar) and repeatly roll the foam roller over it until you have loaded up the roller. Remember lumps of textile ink are bad so spread it out. The first roll over the fabric should be reasonably light. You will notice that the acetate sort of sticks down after the initial roll so you can start applying more pressure. 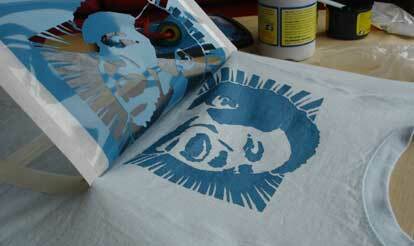 Do a lot of passes over the stencil to build up a nice even coat the textile ink. 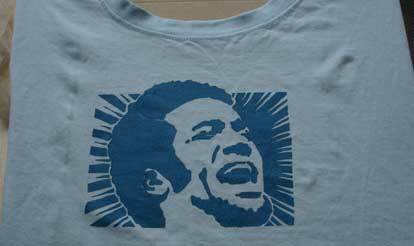 If you are using the Ben Harper Stencil be sure to roll from right to left only. See image below. If you have a hair dryer, I find that a 2-3 second blast of heat now helps. 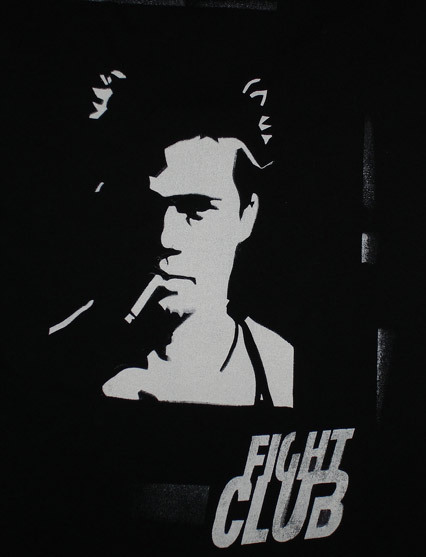 You want to remove the stencil before the ink dries completely. Take extra care! Finally, when the print is dry to the touch, you need to heat seal it. 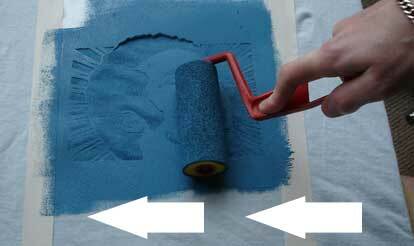 Leave the cardboard in the t-shirt, place a place of baking paper (wax paper) over the print and iron. You’ll have to check the ink label for details of how long to iron for. 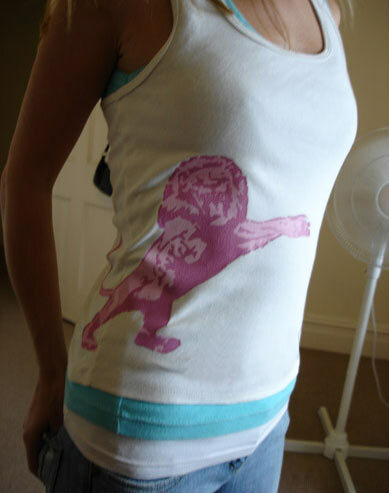 I hope you enjoyed this tutorial and become as addicted to printing t-shirts as I have. Feel free to contact me via my contact page if you have any questions.